A small grocery chain has sparked outrage (among only progressives) with a message included in their weekly mailer. 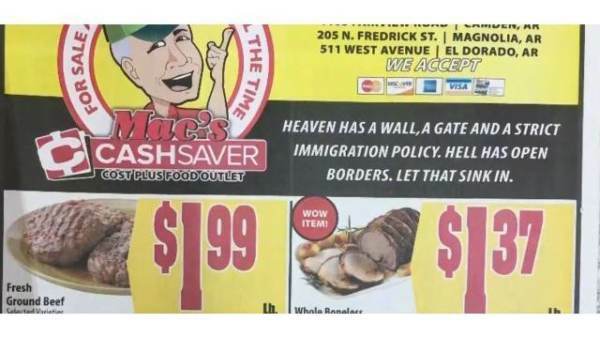 Note that the grocer would only be free to make that statement in their advertisement using legacy print media, because in the modern digital gulag, that kind of free speech is not equal to progressive free speech. The ad would be banned, and his business de-platformed. They have a Facebook page…but for how long?